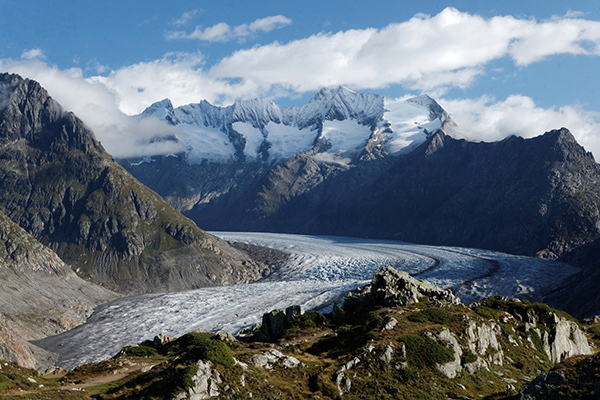 Glaciers around the world are melting, retreating and even vanishing altogether. Not since Al Gore’s 2006 film An Inconvenient Truth has such a powerful documentary feature film come out about the Earth’s changing climate. In the recently released Chasing Ice, National Geographic photographer James Balog trains revolutionary, time-lapse cameras on glaciers in Alaska, Greenland, Iceland and Glacier National Park in order to capture a multiyear, undeniable record of the planet’s disappearing ice fields. In the spring of 2005, in an endeavor he named the Extreme Ice Survey, Balog, along with a team of young adventurers, began setting up the cameras across the Arctic. Although there were many tough years of trial and error, finally some hauntingly beautiful photos emerged—as well as this moving film. Despite his scientific background, Balog had been a skeptic about climate change and a cynic about the nature of academic research. His first trip to the North, however, opened his photographer’s eyes to one of the biggest stories in our history. Watch the trailer for Chasing Ice below. Then, view the video of another filmgoer, who reflects the sentiments of my fellow movie-watchers on Friday. In December, Chasing Ice will be screened before the United Nations. I hope this month, you’ll go out to see it for yourself. Experience these disappearing glacial landscapes before it’s too late. Natural Habitat offers adventures in Greenland, cruises in Iceland, expeditions in Antarctica and tours in Patagonia—all featuring amazing encounters with breathtaking glaciers. Send this to everyone…we have to move out of denial…we say for our children and our grandchildren, but maybe also for ourselves. One word… “DEFLATION” This is an amazing, MUST-SEE, film. I know a fair bit about glaciers, glaciation etc… But learning about, and SEEING, the process of ‘deflation’ (glaciers loosing mass) was shocking. It is all changing but people are to blind to see. The temperature here has been so different then the years I have lived here which I say is 14 years 13 too many. It is not a good climate for animals in the summer. Thinks do need to change and soon. A great documentary that I highly recommend to anyone, in particular for photographers!